With over two decades of experience and a Bachelor of Science in Pharmacy and a Master of Science in Health Care Administration, Reem Nouh is a passionate healthcare marketing strategist. In her own words: “I love healthcare…in fact it runs in my blood!” (She comes from a family of pharmacists, nurses and physicians.) Whether it’s branding health systems, developing campaigns for engaging employees, creating digital marketing wellness campaigns for hospitals, or promoting innovative solutions from medical device companies, Reem knows how to hone in on messages that move target audiences and deliver communications programs that deliver results in the digital age. 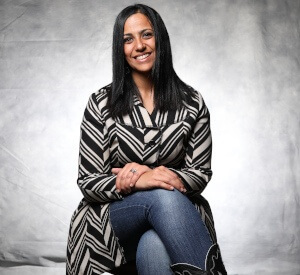 Currently, Reem is a Senior Vice President at integrated marketing agency Adams & Knight. She is a distinguished recipient of the Hartford Business Journal’s annual 40 Under Forty, which recognizes outstanding professionals in the business community. Over the years, her work has been recognized by numerous industry organizations.